Have you ever had issue while copying the diagrams from one scale to a different scale in Visio. I had many situations where I created the floorplans with lot of texts/legends in it and later client ask me to change page scale. I tried to group all the shapes and then pull/push the corners. No, it going to screw up the plan and alignment. Here is the simple solution to solve the issue. 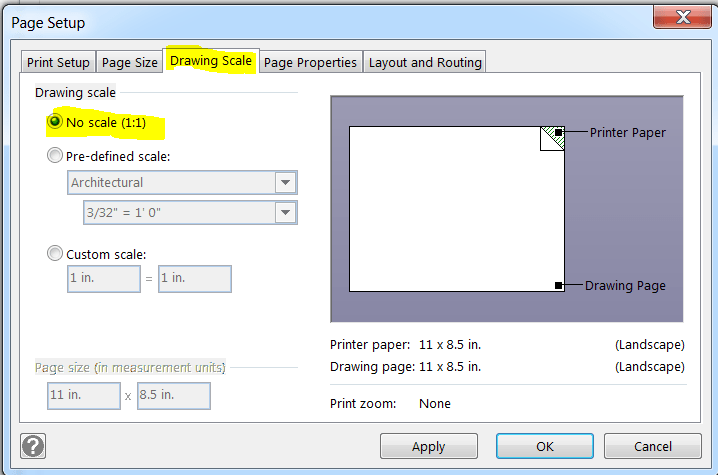 Problem: How to Change the Page Scale in Visio Without Disturbing the Alignment ? You will not find any issue here. 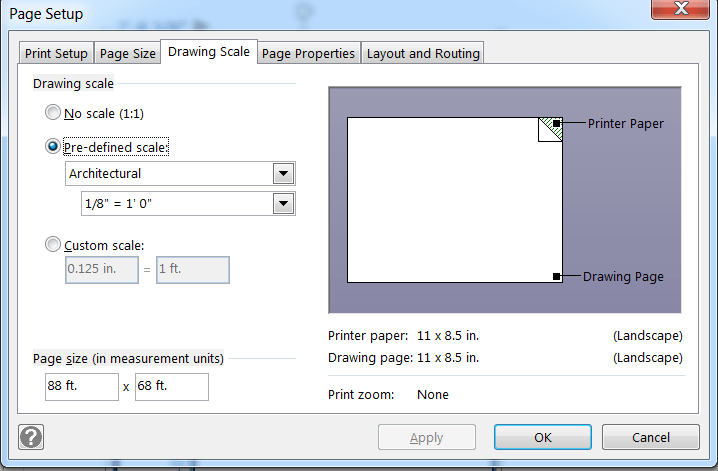 Next step is to copy this No Scale diagram to 3/32″=1’0″ page. Now, you not face any alignment issue. 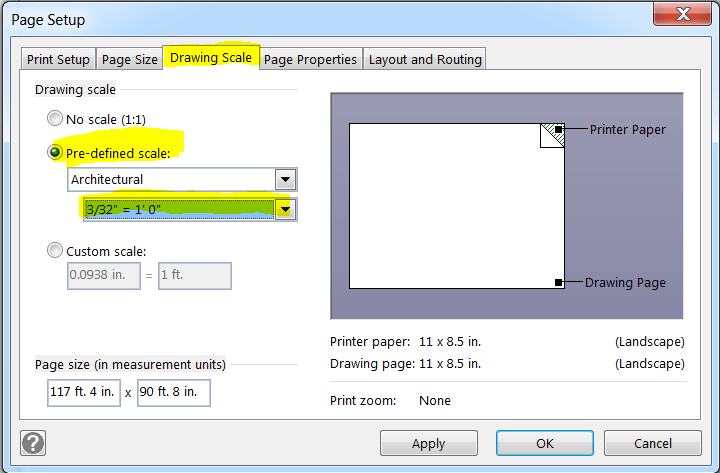 This is helpful when you complated the work and needs to change the scaling later point of time..
Hope it helps. If yes, give a like!! !